Hannah started with us as a volunteer animal care assistant in 2013 whilst completing her Veterinary Care assistant course at Cannington College. 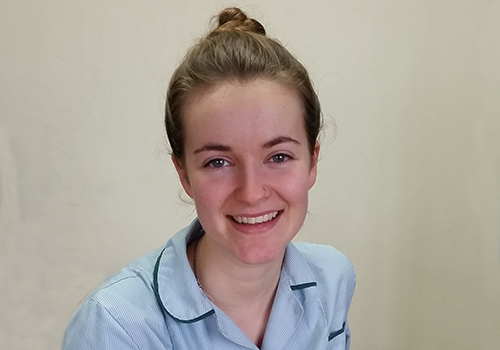 Having successfully achieved this qualification Hannah was employed as a Animal care assistant for a year and is now in her first year at Cannington College doing a Veterinary Nursing Diploma. Hannah also enjoys socialising with family & friends and spends lots of time looking after her large cross-breed dog Womble.